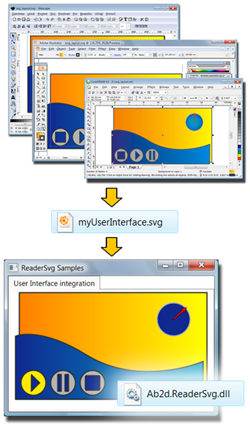 ViewerSvg is a svg to xaml converter application. It is using the Ab2d.ReaderSvg library that imports objects from svg file into WPF. New version of ReaderSvg and ViewerSvg published. ReaderSvg has now improved text support. In previous version all text were converted to paths. This made simpel svg files with text very complex in WPF. In new version text that do not have some special stroke or fill is converted into simple TextBlock. There is also a new property UseSimpleText that can forec conveting text into TextBlock even if text has some special storke or fill. The svg reading is also imporved. ViewerSvg has also been slights improved. Version Reader3ds 4.1 is finally published. 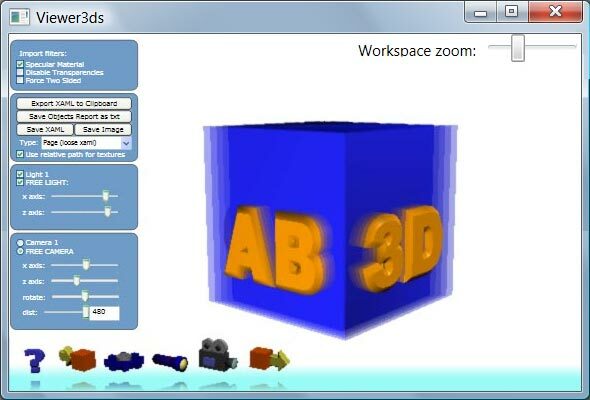 To demonstrate all those new features a new sample 3D application is available - RobotArm shows how simple is to create complex 3D transformations and animations. And this is not all. With Sandbox I managed to create an online and offline help (chm file). The online help can be seen here. The chm help file is included in the package. This way using features in Reader3ds and Transformer3ds should be easier. I hope you find this interesting - you are invited to visit the www.ab4d.com - see Reader3ds section. New version of MeshUtilities class library has been published. 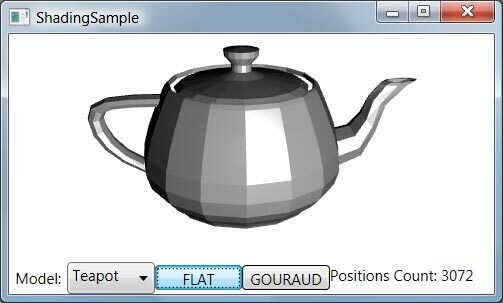 With the library it is possible to convert the existing 3D models into flat or gouraud shaded models. 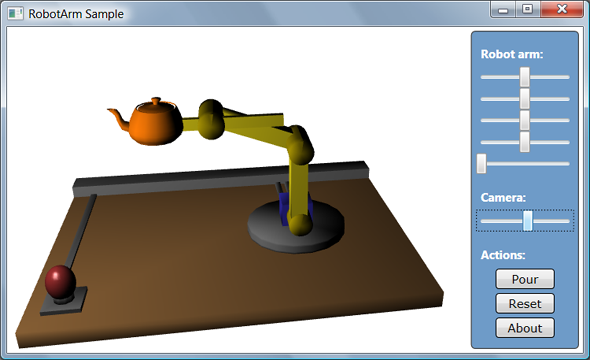 It can be also used to correct some anomalies on the 3D objects. The following images show a model of a torus get from a 3D modeling application. The first image shows the original WPF rendering of the model read with Reader3ds library - the model does not look smooth (the reason for this is that some of the positions are duplicated - because of that WPF does not calculate the normals correctly). The second and the third images are showing the flat and gouraud shaded images that were get with using Ab3d.MeshUtilites after reading the 3ds file with Reader3ds. To read more about how WPF shade the models read the following Charles Petzold's blog entry. There is also a new sample application that on one hand demonstrates how to use the new MeshUtilities and on the other shows how simple it is to read different 3ds files with the Reader3ds library. The sample application is available with full source code. New version of Reader3ds is published. There are many new features and improvements. The new version more accurately reads complex 3ds files. The positions coordinates are now adjusted for the WPF coordinate system. Using the objects with their names that were defined in the modeling application is also simplified. The biggest new feature is animation support. Now it is possible to get Model3DGroup for each frame. 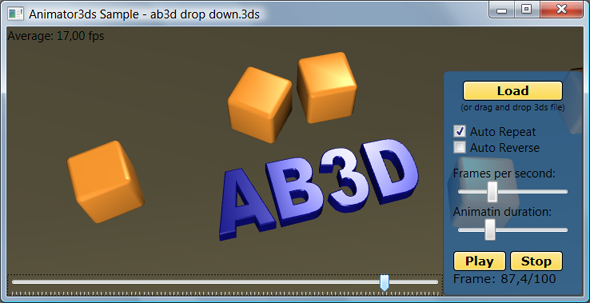 To demonstrate the new animation abilities there is also a sample Player3ds application with a sample animation. To get more info and to download the new version see my wpf-graphics site. Note: The Reader3ds version 3.9 will expire on 18th January 2006 so please update to new version. 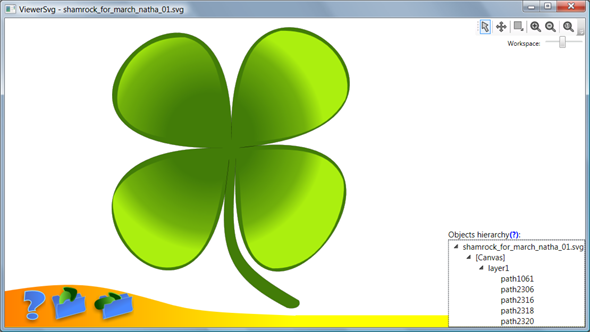 Viewer3ds is a free 3ds file viewer and xaml exporter. It is also one of the first applications with animated 3D buttons and other WPF goodies like reflection, transparencies and work area zoom. The 3ds reader engine has been updated significantly. There are also some new options to simplify integreation of the exported xaml with the MS Interactive designer. The biggest change was made to the user's interface. Semi-transparent panels are shown on the left side of the application. Their transparency is set to 69% (0xAA) so if the 3D objects are behind the panels they can still be visible. Also when you show or hide the panels they are automatically positioned one over another - a WPF's StackPanel is used to achieve that. Workspace zoom can be used to make the panels and 3D buttons smaller (to get more workspace) or bigger (to see them better :). This can be practical when you are already very familiar with the panels and its options and would like to maximize the 3D object workspace. This will be also very handy in the future because there will be LCD monitors with huge resolution - with the default workspace zoom the buttons and panels will be simply too small and the user can than set their size to the scale he wants. And regardless of the zoom factor all the buttons, checkboxes and other controls are still working - great work Microsoft. Animation is used to show and hide error and message panels. With WPF's Storyboard this was a simple job. Animated real 3D buttons are something that really makes this application unique. When user moves the mouse over a button the button not only changes the background color, gets different border or changes from black and white to colored image but starts rotating in real 3D. What is the main difference between these buttons? 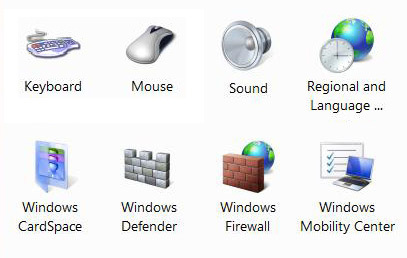 The buttons in Windows Vista are not just flat images like most of the buttons from Windows 3.1 but look more realistic - almost as real 3D objects that you could grab with your hand. But they are still just images. So it is not hard to guess the next step in the buttons evolution - real 3D buttons. More about Viewer3ds can be found on my wpf-graphics site. Viewer3ds is also freely available to download.